Thyroid Surgery (Thyroidectomy) is a surgical procedure in which the thyroid (the gland which produces hormones that control the body’s metabolism) is totally or partially removed. 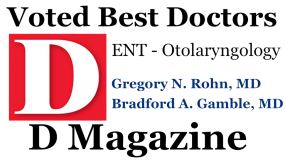 Thyroidectomy is typically recommended by Otolaryngology Specialists of North Texas as the best option for treating thyroid disorders which cannot be treated with or are unresponsive to radioiodine treatment or thyroid medication. 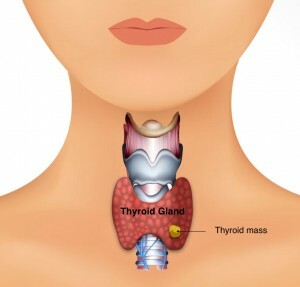 Thyroid nodules or tumors which obstruct the throat or stimulate an overproduction of hormones. Goiter which interferes with breathing, eating, speaking, or swallowing. Hyperthyroidism (often brought on by Grave’s disease) which is unresponsive to non-surgical thyroid treatments. Removal of thyroid nodules or tumors is the most common reason for a thyroidectomy. Typically, thyroid nodules are benign, but occasionally can be precancerous or cancerous. Any nodules that are removed will be tested for cancerous cells. Total thyroidectomy: Removal of the entire thyroid gland, thyroid tissue, and surrounding lymph nodes. Typically recommended for thyroid cancer, inflammation or swelling of the entire gland, or occasionally, Grave’s disease. Benefits include fast results with a lower rate of relapse or recurrence. Subtotal (near total) thyroidectomy: Removal of the thyroid gland while leaving a portion of thyroid tissue intact to allow for some thyroid function. Often used to treat hyperthyroidism brought on by Grave’s disease. Lobectomy: Removal of either the right or left thyroid lobe where swelling and/or nodules are present. The remaining lobe can usually maintain all or some hormonal function. 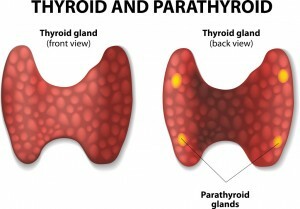 After a total thyroidectomy, the hormones naturally produced by the thyroid will need to be replaced with daily hormone medication. A subtotal thyroidectomy may also result in insufficient hormone production (hypothyroidism) and require hormone therapy. Thyroidectomy is performed under general anesthesia in a hospital setting. As with most surgeries, you will need to abstain from food and drink after midnight prior to your surgery. During the procedure, a small horizontal incision is made in the neck just above your thyroid gland. The thyroid gland, or a portion of it, is then carefully removed through the incision. Because the thyroid gland is in close proximity to other glands, nerves, and the vocal cords, the procedure will take approximately 2-3 hours. 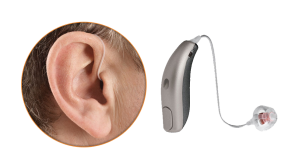 A nerve monitor may be used to ensure that the nerves are undamaged and functioning properly. A drain may be placed in the incision, which is removed prior to your hospital release. Thyroid surgery typically requires only a 1-2 day hospital stay for observation. After your thyroidectomy, you should be able to resume most normal activity once you are released from the hospital. Strenuous activity should be avoided until your doctor releases you (usually about 10 days). You will probably have a sore throat for a few days, which can be alleviated with over-the-counter pain medicine (ibuprofen or acetaminophen) or a prescription from your doctor. After thyroid surgery, a soft diet is typically recommended for several days. Your doctor will advise you on what foods you should eat and when to progress to a normal diet. Hypothyroidism can develop after thyroid surgery, so your doctor may prescribe a thyroid medication to adjust your hormone levels. Hormone replacement therapy is a lifelong necessity to maintain health if you have a total thyroidectomy. 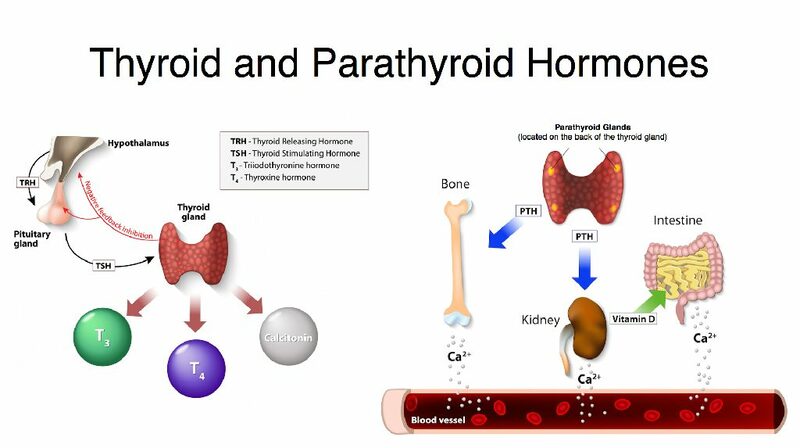 Parathyroid gland damage: Glands which control the calcium level in the body. Supplements can be used if calcium levels are low. Recurrent laryngeal nerve damage: Damage to the nerves which are connected to the vocal cords causing hoarseness or voice changes. A speech pathologist can be consulted for methods to strengthen vocal cords. Thyroid surgery is considered an extremely safe procedure in which complications are rare. If you are experiencing symptoms of thyroid disease, or are concerned that you may have a thyroid disorder, please contact our office to schedule an appointment. 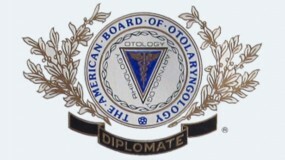 Our goal at Otolaryngology Specialists of North Texas (OSNT) is to provide the highest quality ear, nose, and throat, medical and surgical care to both children and adults. Call our Dallas ENT office 214-239-1641 or Plano ENT office 972-378-0633 to schedule an appointment.